There has been much debate as to whether Christians should go to see the movie “Noah” and there have even been calls for a boycott. 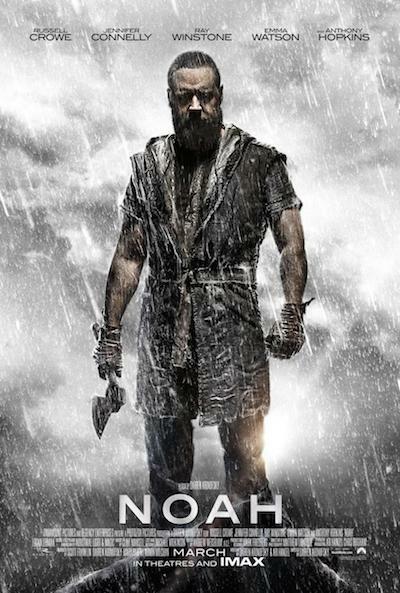 So, should Christians see the movie “Noah”? My simple answer is: if you want to go see it then go see it. If you don’t then don’t. But regardless of what you decide, the one thing you should do is take the time to know what’s in it and how it differs from the biblical account. Consider this whether you see it or not: if you don’t know what’s in the film and someone asks you how it was different from the biblical account, you won’t be able to answer their questions and the conversation will probably end there. If you do know what’s in the film and someone asks you how it was different from the biblical account, you will be able to answer their questions and the conversation will probably continue and may lead to deeper things. I’m not promoting the film nor am I saying you have to see it. I’m not even sure if I will go but I will eventually watch it. Until then, I will certainly know what’s in it. What I’m speaking to is criticizing Christians, as some have done, who may have gone to see it and making blanket statements for all of Christendom by saying we should boycott it without even giving any real, informative answers as to why other than saying it’s, and I quote, “Luciferian.” Of course it is! Regardless, what if someone asks you a question about it and you dismissively say something like, “It’s Luciferian” or “It’s Satanic”? You won’t be giving that person anything of substance to consider and they may walk away thinking you’re stranger than the movie was. In my opinion, these kinds of knee-jerk reactions are what keeps the Church in the dark culturally and, thereby, limits our ability to speak into it. How does that help anyone? Remember, we are to be in the world, but not of the world [John 17:14-19]. How can you be purposefully engaged with those who are of the world if you don’t know what’s going on in the world? And while, yes, it is unfortunate that you have to support it monetarily to see it, what does that really matter anyway? I think not having an answer to a question that could lead to deeper conversation and, eventually, Jesus far outweighs that concern. Isn’t it a good thing these Christians decided to engage the culture in order to bring us this information? This post wouldn’t be complete without including Ray Comfort’s “Noah and the Last Days.” I always enjoy watching Ray Comfort talk with people because it gives invaluable insight into how they think and equips us to answer their objections, questions and concerns. There’s simply no substitute for engaging others in conversation.